Our best-selling skinny fit, the iconic High Licks are a must-have in any girls wardrobe. 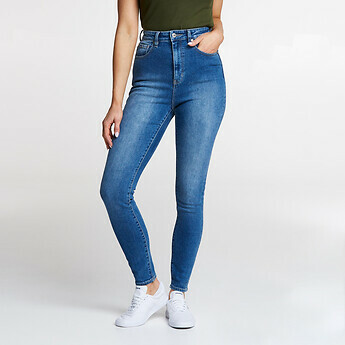 A high rise super skinny fit - worn at the true waist, they fit skin tight through the thigh and knee, all the way to the ankle and are made from a super stretch fabric for ultimate comfort. Finished in an authentic mid stonewash blue.